HOLLYWOOD, Calif. June 1st - Film Gear USA Group showcases its best sellers on the famous Paramount Pictures Studio lot at this year’s Cine Gear Expo in Los Angeles. The new film lighting and gear company displayed their F Series. The line includes the following HMI lights: F18, F9, F4, F1.8, and an F800. Also being showcased- the Helios LED 1k Bi-Color Space Light and their C400 Bi-Color LED panel. This year the Film Gear USA team focused on listening to the needs of what the forward thinking generation of filmmakers today had to say at this years Cine Gear Expo. For many filmmakers, choosing lighting equipment is not just about the right features, but the right price. 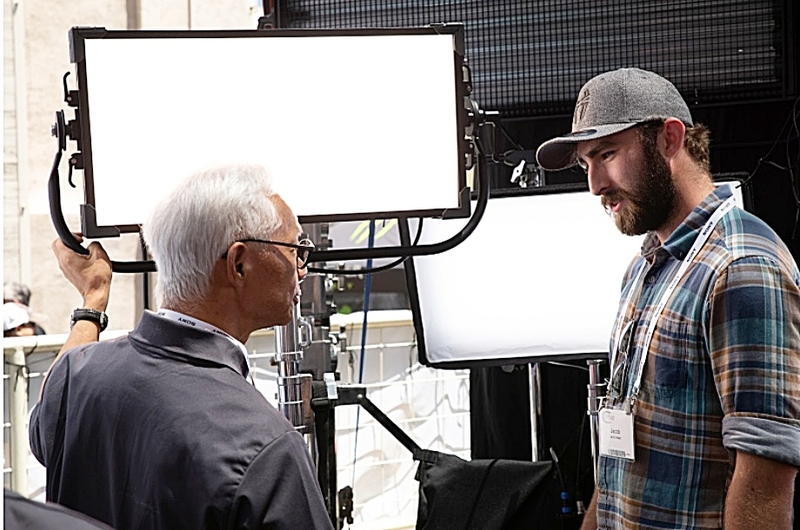 Film Gear USA understands those needs, which is why Film Gear USA Group made it their mission at this year’s Cine Gear Expo to introduce some of their best selling and affordable LED product line to the Hollywood market. Our LED C400 Bi-Color Panel features adjustable color temperatures from 2700K - 6000K, a CRI of >95, Dimming range from 0-100%, and 2 channels of DMX 512. Film Gear USA booth #205 at Cine Gear Expo 2018- At the top of the booth is the Film Gear 2.5K balloon light. Below from left to right: Helios LED 1k Bi-Color Space Light. C400. LED SL Panel product line, LED Flo- Box 4 Bank, and F18 up front to the right. Check out our featured products for more info on our LED & F Series product line.